What a gem of a book! I'd spotted the cover in a couple of bookstores and it did catch my eye, and then I started to hear good things about it so bought it in a recent little book buying spreee - yes another one! And I'm so glad I did! Such a simple storyline but if it's written so well that is all a reader needs! In this book we follow Guylain Vignolles in his remarkably invisble life - he lives alone with his pet goldfish - and is known to count things as he walks to catch the train every morning. 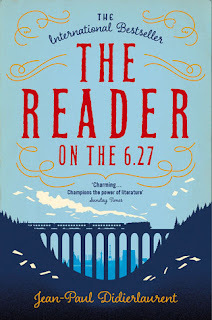 But when he steps on that commuter train each morning he becomes the focus for the other passengers, as he has taken to reading random pages aloud ... one day it could be a recipe, the next it could be a murder mystery. It soon becomes clear where he gets the random pages from which adds extra poignancy, and the power that his reading has over the other passengers is a delight. 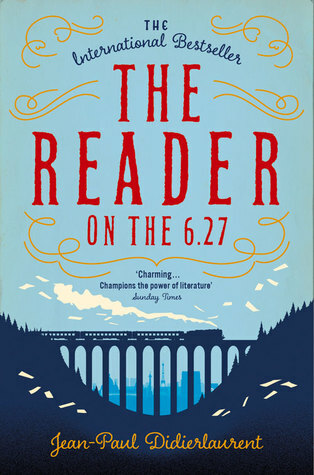 He then discovers a diary from the mysterious Julie and he immediately becomes obsessed - he reads these aloud to the other commuters too, and it soon becomes clear to him that he must do all he can to find out her identity. It was a magical read in its' simplicity, honesty, humour and humanity. I can see how it has been compared to Amelie as it is purely enchanting and a must read! !